Geoterra can provide you with accurate survey data to determine the size, depth, shape and location of subsurface voids, cavities and shafts. We have the experience and expertise to carry out down borehole surveys and inverted laser scan surveys of both dry cavities and submerged cavities. 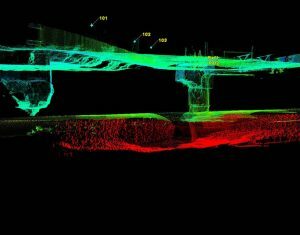 Dry cavity surveys are carried out using the C-ALS system, the Faro Focus 3D Laser Scanner. and the GeoSLAM ZEB REVO laser scanner. 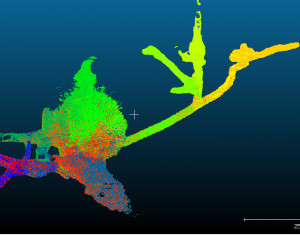 Visit our Subsurface Multibeam Sonar Surveys page to find out more about how we measure submerged cavities. 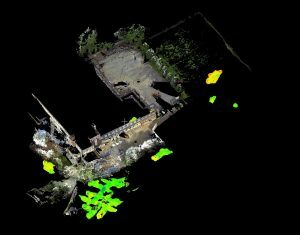 From the survey data, we can provide a range of deliverables including 2D and 3D geo-referenced CAD, 3D point clouds and 3D models.